On approach to Fargo, the aircraft became unstable, pitched up and down. The captain decided to increase the engine power but the aircraft stalled and crashed in flames in a prairie located in Moorhead. 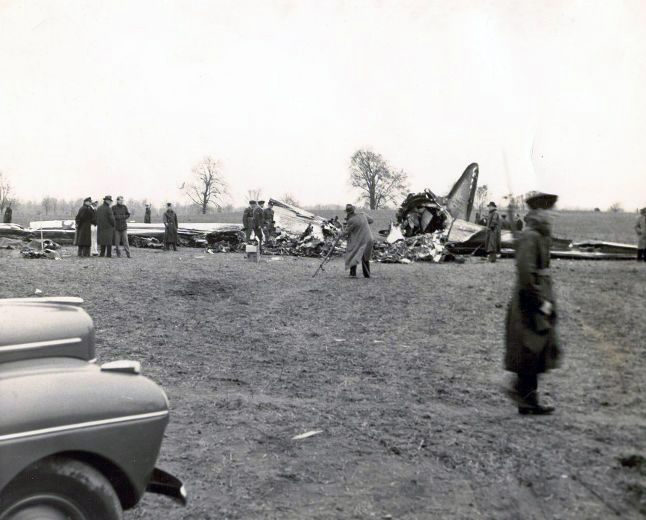 The aircraft was destroyed by a post impact fire and a pilot survived while all 14 other occupants were killed. 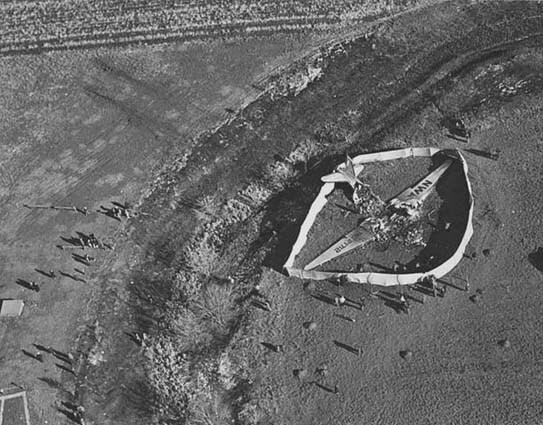 Upon the basis of the foregoing findings and of the entire record available at this time, investigation team found that the probable cause of the accident was the failure of the aircraft, when the inboard portions of the wings were stalled, to respond to the application of full power in the manner reasonably to be expected in the light of the aeronautical knowledge then available. - Accumulation of ice on the wings and other surfaces of the airplane, increasing the stalling speed and the drag of the airplane on the power required to maintain flight. - Failure of the captain, due to his having lost confidence in the air-speed mete to realize his close approach to a stalled condition. - Action of the captain in descending to attempt a landing at Fargo with known icing conditions and critical ceiling conditions, instead of proceeding to an available alternate. - Failure of the dispatcher to recognize the seriousness of weather conditions in the vicinity of Fargo and to direct the pilot to proceed to his alternate.